Hrubovčák P., Kondela T., Ermakova E., Kučerka N.; Localization of general anesthetics by small angle neutron diffraction. Norbert Kučerka, Jana Gallová, Daniela Uhríková; The Membrane Structure and Function Affected by Water. Petra Pullmannová, Elena Ermakova, Andrej Kováčik, Lukáš Opálka, Jaroslav Maixner, Jarmila Zbytovská, Norbert Kučerka, and Kateřina Vávrová; Long and very long lamellar phases in model stratum corneum lipid membranes. Kučerka N., Hrubovčák P., Kondela T., Dushanov E., Kholmurodov Kh.T., Gallová J., Balgavý P.; Location of the general anesthetic n-decane in model membranes. Tomáš Kondela, Jana Gallová, Thomas Hauß, Jonathan Barnoud, Siewert-J. Marrink, Norbert Kučerka; Alcohol interactions with lipid bilayers. Kondela T., Gallová J., Hauß T., Ivankov O., Kučerka N., Balgavý P.; Effect of alkan-1-ols on the structure of dopc model membrane. Norbert Kučerka, Ermuhammad Dushanov, Kholmirzo T. Kholmurodov, John Katsaras, and Daniela Uhríková; Cation-Containing Lipid Membranes - Experiment and Simulations. Norbert Kučerka, Ermuhammad Dushanov, Kholmirzo T. Kholmurodov, John Katsaras, and Daniela Uhríková; Lipid membranes loaded with Ca2+ and Zn2+ cations. Norbert Kučerka, Ermuhammad Dushanov, Kholmirzo T. Kholmurodov, John Katsaras, and Daniela Uhríková; Calcium and zinc differentially affect the structure of lipid membranes. Drew Marquardt, Norbert Kučerka, Stephen R. Wassall, Thad A. Harroun, John Katsaras; Cholesterol's location in lipid bilayers. Xiaoling Leng, Jacob J. Kinnun, Drew Marquardt, Norbert Kučerka, John Katsaras, Jeffrey Atkinson, Thad A. Harroun, Scott E. Feller and Stephen R. Wassall; α-Tocopherol Is Well Designed to Protect Polyunsaturated Phospholipids: MD Simulations. Norbert Kučerka, Frederick Heberle, Jianjun Pan, John Katsaras; Structural Significance of Lipid Diversity as Studied by Small Angle Neutron and X-ray Scattering. Michal Belička, Yuri Gerelli, Norbert Kučerka, Giovanna Fragneto, The component group structure of DPPC bilayers obtained by specular neutron reflectometry. Yan Xia, Ming Li, Norbert Kučerka, Shutao Li, Mu-Ping Nieh, In-Situ Temperature-Controllable Shear Flow Device for Neutron Diffraction and SANS Measurements - An Example of Aligned Bicellar Mixtures. Drew Marquardt, Norbert Kučerka, John Katsaras, and Thad A. Harroun, α-Tocopherol's location in membranes is not affected by their composition. 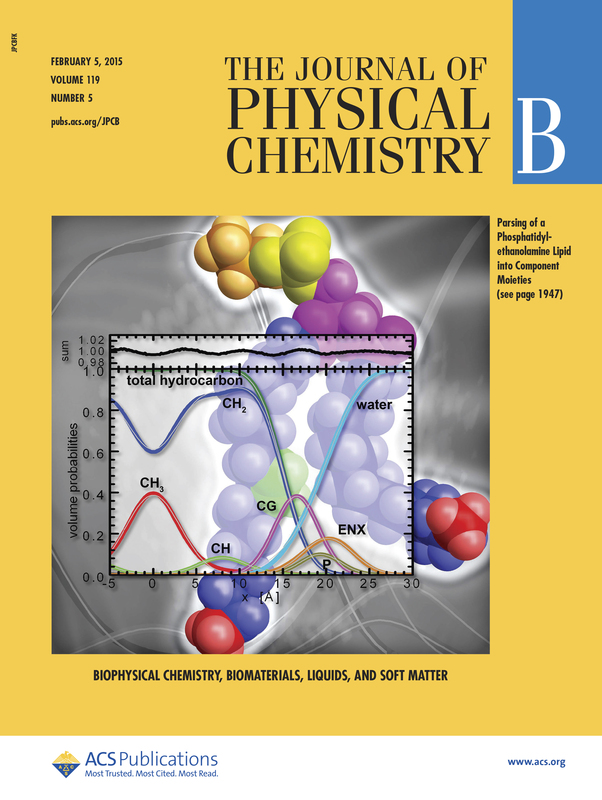 Norbert Kučerka, Brad Van Oosten, Jianjun Pan, Frederick A. Heberle, Thad A. Harroun, and John Katsaras, Molecular Structures of Fluid Phosphatidylethanolamine Bilayers Obtained from Simulation-to-Experiment Comparisons and Experimental Scattering Density Profiles. Richard J. Alsop, Laura Toppozini, Drew Marquardt, Norbert Kučerka, Thad A. Harroun, and Maikel C. Rheinstädter, Aspirin Inhibits Formation of Cholesterol Rafts in Fluid Lipid Membranes. Laura Toppozini, Sebastian Meinhardt, Clare L. Armstrong, Zahra Yamani, Norbert Kučerka, Friederike Schmid, and Maikel C. Rheinstädter, Structure of Cholesterol in Lipid Rafts. Jianjun Pan, Drew Marquardt, Frederick A. Heberle, Norbert Kučerka, John Katsaras, Revisiting the Bilayer Structures of Fluid Phase Phosphatidylglycerol Lipids: Accounting for Exchangeable Hydrogens. Jianjun Pan, Xiaolin Cheng, Luca Monticelli, Frederick A. Heberle, Norbert Kučerka, Peter D. Tieleman, John Katsaras, The Molecular Structure of a Phosphatidylserine Bilayer Determined by Scattering and Molecular Dynamics Simulations. Michal Belička, Norbert Kučerka, Daniela Uhríková, Akhmed Kh. Islamov, Alexander I. Kuklin, Ferdinand Devínsky, Pavol Balgavý, Effects of N,N-dimethyl-N-alkylamine-N-oxides on DOPC bilayer in unilamellar vesicles: small-angle neutron scattering study. P. Heftberger, B. Kollmitzer, F.A. Heberle, J. Pan, M. Rappolt, H. Amenitsch, N. Kučerka, J. Katsaras, G. Pabst, Global small-angle X-ray scattering data analysis for multilamellar vesicles:the evolution of the scattering density profile model. Drew Marquardt, Justin Williams, Jacob Kinnun, Norbert Kučerka, Jeffrey Atkinson, Stephen R. Wassall, John Katsaras, and Thad A. Harroun, Dimyristoyl phosphatidylcholine: A remarkable exception to α-tocopherol's membrane presence. Ming Li, Hannah H. Morales, John Katsaras, Norbert Kučerka, Yongkun Yang, Peter M. Macdonald, and Mu-Ping Nieh, Morphological Characterization of DMPC/CHAPSO Bicellar Mixtures: A Combined SANS and NMR Study. E. Drolle, N. Kučerka, M.I. Hoopes, Y. Choi, J. Katsaras, M. Karttunen, Z. Leonenko, Effect of melatonin and cholesterol on the structure of DOPC and DPPC membranes. 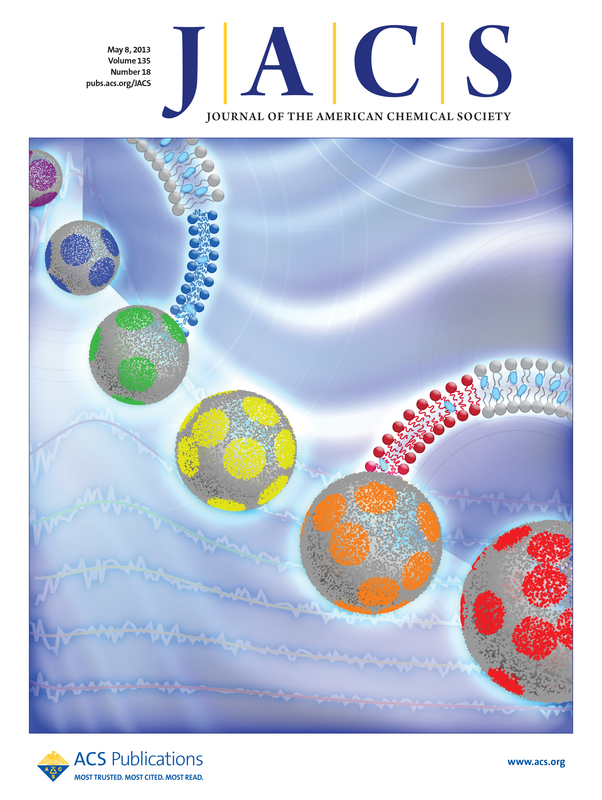 Clare L Armstrong, Drew Marquardt, Hannah Dies, Norbert Kučerka, Zahra Yamani, Thad A Harroun, John Katsaras, An-Chang Shi, Maikel C Rheinstädter, The Observation of Highly Ordered Domains in Membranes with Cholesterol. Drew Marquardt, Justin A. Williams, Norbert Kučerka, Jeffery Atkinson, Stephen R. Wassall, John Katsaras, and Thad A. Harroun, Tocopherol Activity Correlates with Its Location in a Membrane: A New Perspective on the Antioxidant Vitamin E.
Frederick A. Heberle, Robin S. Petruzielo, Jianjun Pan, Paul Drazba, Norbert Kučerka, Robert F. Standaert, Gerald W. Feigenson, and John Katsaras, Bilayer thickness mismatch controls raft size in model membranes. Suanne Mahabir, Darcy Small, Ming Li, Wankei Wan, Norbert Kučerka, Kenneth Littrell, John Katsaras, Mu-Ping Nieh, Growth kinetics of lipid-based nanodiscs to unilamellar vesicles - A time-resolved small angle neutron scattering (SANS) study. Jianjun Pan, Xiaolin Cheng, Frederick A. Heberle, Barmak Mostofian, Norbert Kučerka, Paul Drazba, and John Katsaras, Interactions between Ether Phospholipids and Cholesterol As Determined by Scattering and Molecular Dynamics Simulations. Frederick A. Heberle, Jianjun Pan, Paul Drazba, Robert F. Standaert, Norbert Kučerka, and John Katsaras, Model-based approaches for the determination of lipid bilayer structure from small-angle neutron and X-ray scattering data. Jianjun Pan, Frederick A. Heberle, Stephanie Tristram-Nagle, Michelle Szymanski, Mary Koepfinger, John Katsarasa, and Norbert Kučerka, Molecular structures of fluid phase phosphatidylglycerol bilayers as determined by small angle neutron and X-ray scattering. 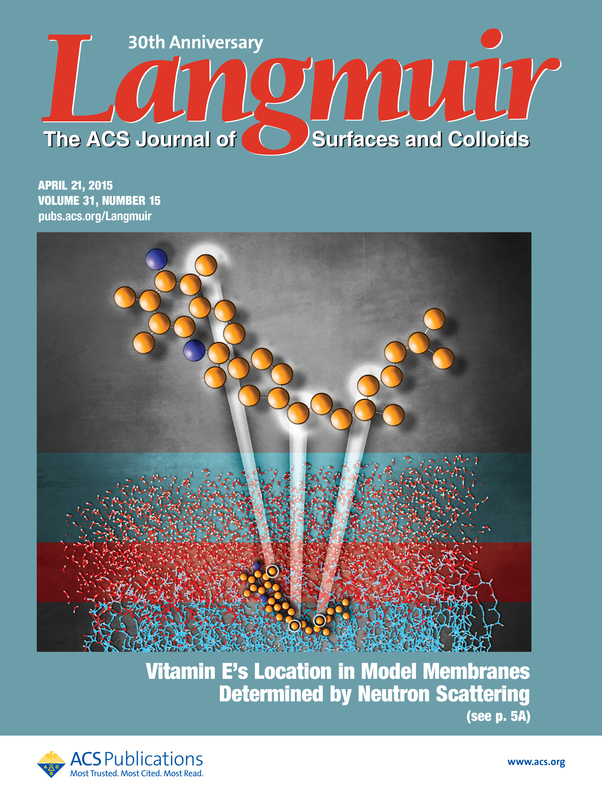 Matthew Barrett, Songbo Zheng, Golnaz Roshankar, Richard J. Alsop, Randy K. R. Belanger, Chris Huynh, Norbert Kučerka, and Maikel C. Rheinstädter, Interaction of Aspirin (acetylsalicylic acid) with lipid membranes. D. Uhríková, N. Kučerka, A. Lengyel, P. Pullmannová, J. Teixeira, T. Murugova, S. S. Funari, P. Balgavý, Lipid bilayer - DNA interaction mediated by divalent metal cations: SANS and SAXD study. C.L. Armstrong, M.A. Barrett, L. Toppozini, N. Kučerka, Z. Yamani, J. Katsaras, G. Fragneto, and M.C. Rheinstädter, Co-existence of gel and fluid lipid domains in single-component phospholipid membranes. Norbert Kučerka, Bryan W. Holland, Chris G. Gray, Bruno Tomberli, and John Katsaras, Scattering Density Profile Model of POPG Bilayers As Determined by Molecular Dynamics Simulations and Small-Angle Neutron and X-ray Scattering Experiments. Dmitri Satsoura, Norbert Kučerka, Sanjeevan Shivakumar, Jeremy Pencer, Corrie Griffiths, Brian Leber, David W. Andrews, John Katsaras, Cécile Fradin, Interaction of the full-length Bax protein with biomimetic mitochondrial liposomes: A small-angle neutron scattering and fluorescence study. Mu-Ping Nieh, Paul Dolinar, Norbert Kučerka, Steven R. Kline, Lisa M. Debeer-Schmitt, Kenneth C. Littrell and John Katsaras, Formation of Kinetically Trapped Nanoscopic Unilamellar Vesicles from Metastable Nanodiscs. Norbert Kučerka, Mu-Ping Nieh, and John Katsaras, Fluid Phase Lipid Areas and Bilayer Thicknesses of Commonly Used Phosphatidylcholines as a Function of Temperature. J. Gallová, D. Uhríková, N. Kučerka, M. Svorková, S.S. Funari, T.N. Murugova, L. Almásy, M. Mazúr, P. Balgavý, Influence of cholesterol and beta-sitosterol on the structure of EYPC bilayers. M. Klacsová, M. Bulacu, N. Kučerka, D. Uhríková, J. Teixeira, S.-J. Marrink, P. Balgavý, The effect of aliphatic alcohols on fluid bilayers in unilamellar DOPC vesicles - a small-angle neutron scattering and molecular dynamics study. J. Gallová, D. Uhríková, N. Kučerka, S. Doktorovová, S.S. Funari, J. Teixeira, P. Balgavý, The effects of cholesterol and beta-sitosterol on the structure of saturated diacylphosphatidylcholine bilayers. Norbert Kučerka, Mu-Ping Nieh, Drew Marquardt, Thad Harroun, Stephen Wassall, and John Katsaras, Cholesterol in unusual places. Norbert Kučerka, Jana Gallová, Daniela Uhríková, Pavol Balgavý, and John Katsaras, The need to revisit lipid areas. Mu-Ping Nieh, Zahra Yamani, Norbert Kučerka, and John Katsaras, Adapting a triple-axis spectrometer for small angle neutron scattering measurements. Mu-Ping Nieh, Norbert Kučerka, and John Katsaras, Formation mechanism of self-assembled unilamellar vesicles. J. Gallová, D. Uhríková, N. Kučerka, J. Teixeira, P. Balgavý, Partial area of cholesterol in monounsaturated diacylphosphatidylcholine bilayers. Norbert Kučerka, Drew Marquardt, Thad A. Harroun, Mu-Ping Nieh, Stephen R. Wassall, Djurre de Jong, Lars Schafer, Siewert-Jan Marrink, and John Katsaras, Cholesterol in Bilayers with PUFA Chains: Doping with DMPC or POPC Results in Sterol Reorientation and Membrane-Domain Formation. Stephanie Tristram-Nagle, Dong Joo Kim, Nadia Akhunzada, Norbert Kučerka, John C. Mathai, John Katsaras, Mark Zeidel, and John F. Nagle, Structure and Water Permeability of Fully Hydrated DiphytanoylPC. Norbert Kučerka, John Katsaras and John Nagle, Comparing Membrane Simulations to Scattering Experiments: Introducing the SIMtoEXP Software. G. Pabst, N. Kučerka, M.-P. Nieh, M. Rheinstädter and J. Katsaras, Applications of neutron and X-ray scattering to the study of biologically relevant model membranes. Norbert Kučerka, Drew Marquardt, Thad A. Harroun, Mu-Ping Nieh, Stephen R. Wassall and John Katsaras, The Functional Significance of Lipid Diversity: Orientation of Cholesterol in Bilayers is Determined by Lipid Species. Norbert Kučerka, Jana Gallová, Daniela Uhríková, Pavol Balgavý, Monica Bulacu, Siewert-Jan Marrink, and John Katsaras, Areas of Monounsaturated Diacylphosphatidylcholines. Norbert Kučerka, Mu-Ping Nieh, and John Katsaras, Asymmetric distribution of cholesterol in unilamellar vesicles of monounsaturated phospholipids. Norbert Kučerka, Mu-Ping Nieh, Jeremy Pencer, Jonathan Sachs, and John Katsaras, What determines the thickness of a biological membrane. Thad A. Harroun, Norbert Kučerka, Mu-Ping Nieh, and John Katsaras, Neutron and X-ray scattering for biophysics and biotechnology: examples of self-assembled lipid systems. Xiang Gao, Norbert Kučerka, Mu-Ping Nieh, John Katsaras, Shiping Zhu, John L. Brash, and Heather Sheardown, Chain Conformation of a New Class of PEG-Based Thermoresponsive Polymer Brushes Grafted on Silicon as Determined by Neutron Reflectometry. Jianjun Pan, Peter D. Tieleman, John F. Nagle, Norbert Kučerka, and Stephanie Tristram-Nagle, Alamethicin in lipid bilayers: Combined use of X-ray scattering and MD simulations. Daniela Uhríková, Petra Pullmannová, Norbert Kučerka, Sérgio S. Funari, José Teixeira, Pavol Balgavý, The Structural Variety of DNA-DPPC-Divalent Metal Cation Aggregates: SAXD and SANS Study. Daniela Uhríková, Norbert Kučerka, José Teixeira, Valentin Gordelyi, Pavol Balgavý, Structural changes in dipalmitoylphosphatidylcholine bilayer promoted by Ca2+ ions: a small-angle neutron scattering study. Jana Gallová, Daniela Uhríková, Norbert Kučerka, José Teixeira, Pavol Balgavý, Hydrophobic thickness, lipid surface area and polar region hydration in monounsaturated diacylphosphatidylcholine bilayers. SANS study of effects of cholesterol and beta-sitosterol in unilamellar liposomes. Kučerka,N., D.Uhríková, J.Teixeira, and P.Balgavý, Bilayer thickness in unilamellar phosphatidylcholine vesicles: small angle neutron scattering using contrast variation. Kučerka,N., J.F.Nagle, S.E.Feller and P.Balgavý, Models to analyze small-angle neutron scattering from unilamellar lipid vesicles. Uhríková D., Kučerka N., Islamov A., Kuklin A., Gordeliy V., Balgavý P., Small-angle neutron scattering study of the lipid bilayer thickness in unilamellar dioleoylphosphatidylcholine liposomes prepared by the cholate dilution method: n-decane effect.